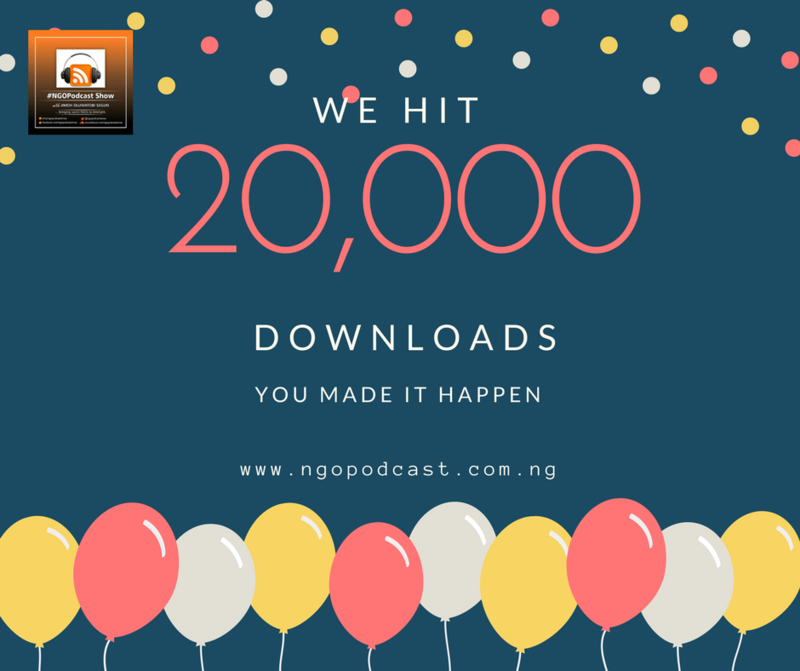 We are glad to inform you that we have achieved another great milestone here at NGOpodcast Show. As at November 2017, we celebrated Over 11,000 downloads of the NGOPodcast! However, we are amazed despite the fact that we are yet to publish an episode this year, We have a new troop of audience from different part of the world that are interested in our podcast. We wanted to say thank you for hitting 20,000 downloads since the inception of this podcast since 2016. In case you don’t know about #NGOpodcast, The podcast is one of the programs of our organization, Media For Community Change Initiative, a non-governmental organization which focuses using the media to make a global change. NGOPodcast brings the diverse and vigorous voices of global NGOs to people around the world. Engaging interviews with founders and leaders in the NGO community probe looming challenges, opportunities and best practices. For over 18 months, we really have been blessed to have so many outstanding change makers from the social space to share about their NGOs with us. It’s been a fun all the way. If you haven’t yet subscribed to the show, you can also do that through any podcast app that supports the iTunes directory, or directly online by clicking ‘Subscribe’ at https://www. ngopodcast .com. ng – whatever is most convenient. Thank you again to our highly esteemed listeners for your ongoing support.